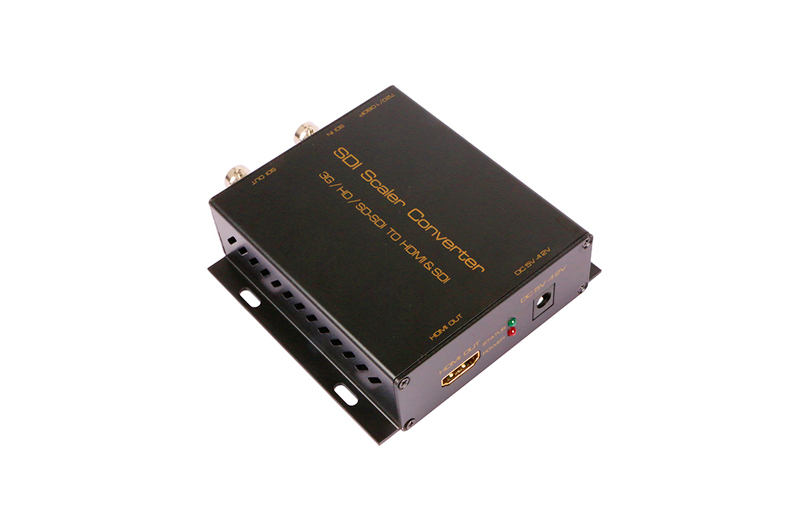 The converter can convert the single SD-SDI, HD-SDI and 3G-SID signal to HDMI signal. 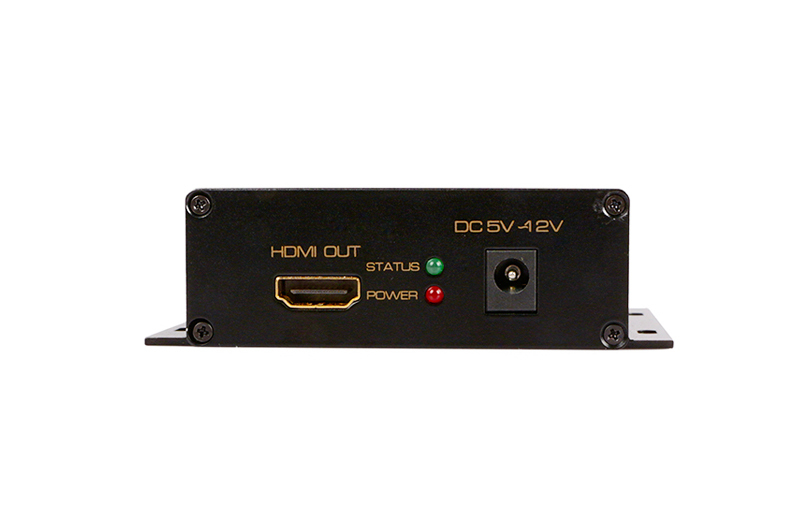 It integrates the SDI receiver and the HDMI modulator, which can change the SD-SDI, HD-SDI and 3G-SDT signal to HDMI signal conveniently and support one SDI signal loop output for connect the other SDI to HDMI Converter to do cascade connection. 3. Support SD-SDI Resolution：SD-SDI：480I@60Hz、576I@60Hz； HD-SDI：720P@50Hz，720P@ 60Hz， 1080I@50/60Hz，1080P@25 Hz，1080P@30 Hz；3G-SDI：1080P@50/60Hz. 5. 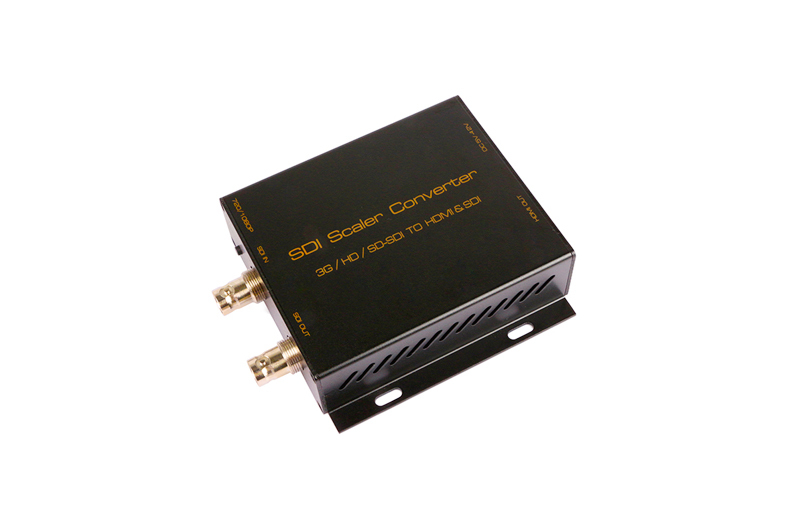 Support SDI transmission speed: SD-SDI:270Mb/s、HD-SDI:1.485Gb/s和3G-SDI:2.97Gb/s.